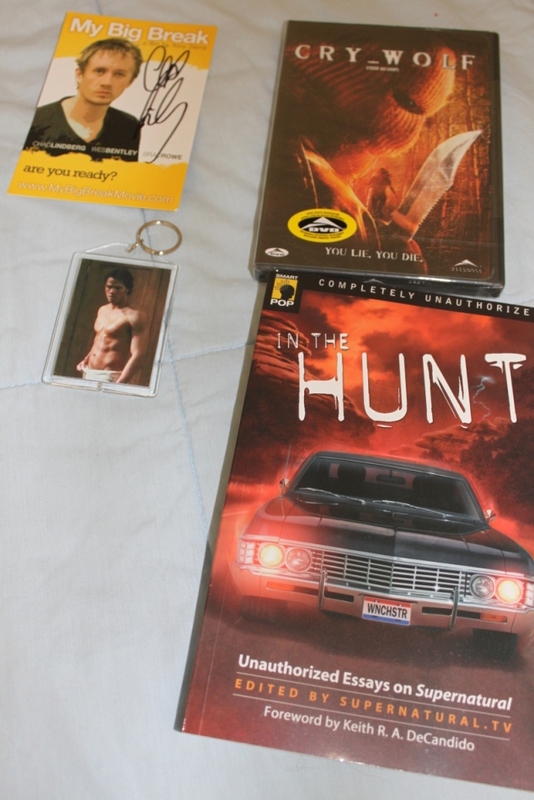 Prize set #1: Cry Wolf DVD, In the Hunt book, signed Chad card, and large reversible key chain of the boys. 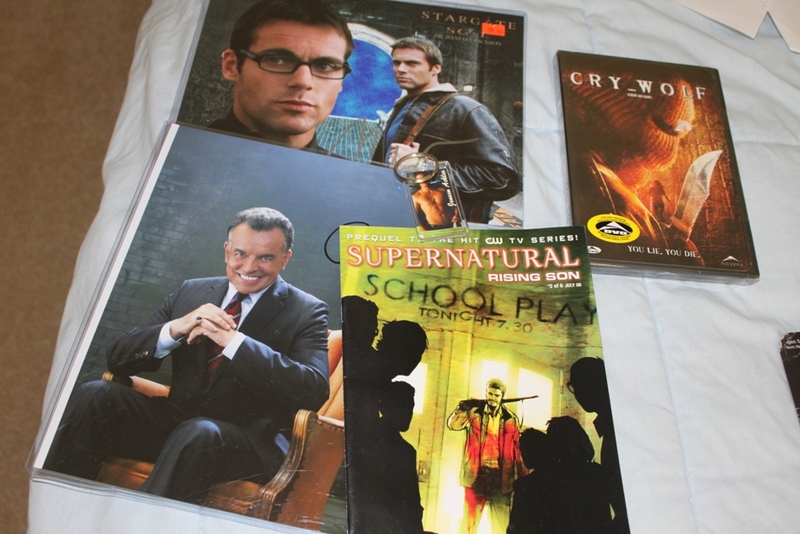 Prize set #2: Autographed Stargate photo, Autographed Reaper photo, Cry Wolf DVD, and smaller reversible key chain of the boys. 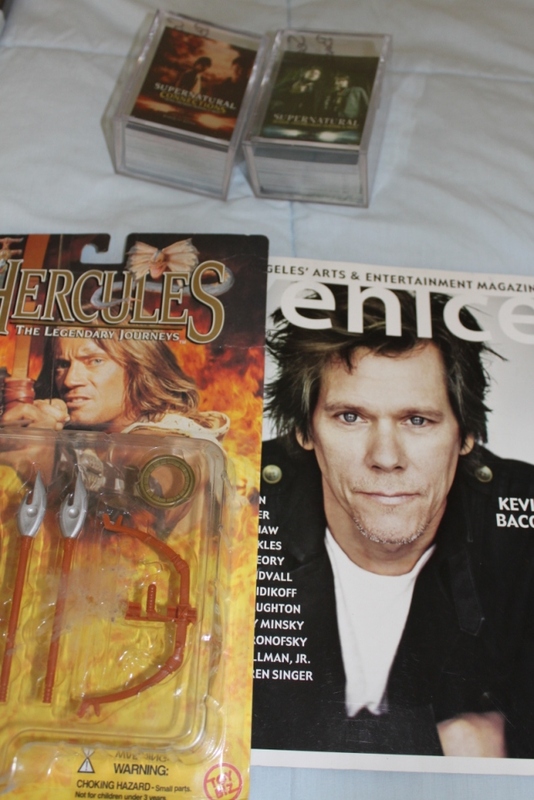 Prize set #3: Magazine with Jensen Ackles interview, Xena action figure, and two sets of collectible SPN cards. 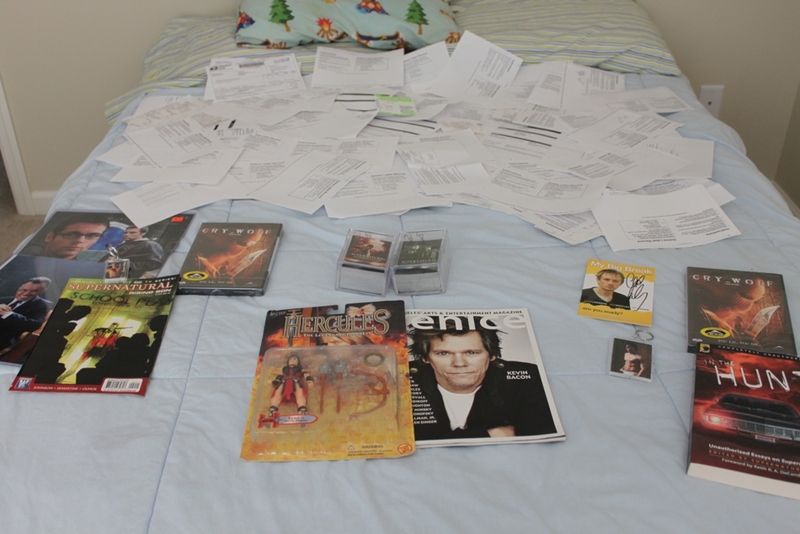 Fandom Rocks is powered by	WordPress 4.9.10 and delivered to you in 0.239 seconds using 24 queries.